At GGC, we believe in doing everything we can to have a positive impact. Starting in the Summer 2018, we launched a fellowship program to train and deploy GGC members at a client site abroad. GGC partners with a previous client to give Fellows an engaging, hands-on experience in development consulting. This incredible experience allows our staff to work on the group with the client, develop unique insights, and bring back the knowledge they gather to the rest of the organization. While the program details are still evolving, our goal is clear: make the work we do more meaningful and insightful. GGC Fellows are required to have spent at least one semester on a project team with GGC. If this sounds like an opportunity that you are interested in, please consider applying during our recruiting cycles. Please contact Camille Bangug, the Director of Special Initiatives at cbangug@georgetownglobalconsulting.org with any questions. In the upcoming summer, GGC will be sending four consultants abroad to Jakarta, Indonesia to work with the nonprofit Gawad Kalinga (GK). GK’s mission is to “end poverty for 5 million families by 2024, by first restoring the dignity of the poor.” The specific project scope is still TBA, but we are extremely excited to work GK to further their mission. Jon Furlong is a Sophomore in the School of Foreign Service from New Hampshire. This is his third semester with GGC. He is pursuing a major in International Politics and a minor in Journalism. As a cadet in Georgetown's ROTC program, Jon hopes to commission as an intelligence officer in the United States army up graduation. On campus, Jon is a guide for the Outdoor Education program and a member of the Eating Society. Before participating in the fellowship this summer, Jon will travel to Chile as part of an ROTC initiative on cultural and diplomatic understanding. Jon's areas of interest include in cimate change, defense polcy, human rights, and education. In his free time, Jon enjoys photography and listening to aternative rock music. Sarah is a sophomore in the Walsh School of Foreign Service at Georgetown University. She is an International Political Economy major and Spanish minor as well as a Global Business Fellow. This is Sarah’s second semester at GGC, and she now serves as a project manager for Dare Women’s Foundation in Tanzania. Outside of GGC, Sarah is an intern for the English Language Programs and a deputy editor at The Hoya. Sarah originally hails from Blue Bell, Pennsylvania where she served as the co-chair of Tennis Buddies Squad, LLC, a special needs tennis clinic for area students. Nick Okerlund is a sophomore in the School of Foreign Service with a minor in Spanish, along with a certificate in International Development. This semester is Nick’s second spent with GGC. After his first project as a consultant for a Congolese nonprofit, he is now a Project Manager for ENVenture, a clean energy project in Uganda. With the rest of his time at Georgetown, Nick writes for The Georgetown Caravel, an international relations publication, and the Arts and Culture section of The Hoya. Born and raised in Houston, Texas, his passions extend far beyond his hometown, and he hopes to delve into development, institution-building, and poverty reduction on an international level during his college years and onward. Noah is a sophomore in the School of Foreign Service majoring in International Politics and minoring in Mandarin. This is his third semester with GGC, serving as Project Manager for a client based in Togo. His hobbies include playing table tennis and listening to 1970s music. Noah was born and raised in Hong Kong, and he currently resides in Boston. Samantha Schlageter is a sophomore in the School of Nursing and Health Studies, and she is from Lancaster, Pennsylvania. This is her third semester with GGC, and she is pursuing a major in Healthcare Management and Policy. After graduation, she hopes to work in health policy and patient advocacy. Outside of GGC, Sam competes on the Georgetown Varsity Sailing Team, creates graphic designs for the Georgetown School of Medicine, and interns with a biotech startup called Pilleve. After participating in the fellowship this summer, Sam will run a sailing camp in Massachusetts. In her free time, Sam also enjoys painting and playing her bagpipes. Over the summer of 2018, GGC sent two consultants abroad to Panama City to work with the nonprofit Enseña por Panama (EpP). EpP's mission is to "inspire a movement formed by exceptional leaders committed to improving the quality of education and reducing inequalities in Panama, taking action inside and outside the classroom." Through marketing and social media strategies, GGC worked to help EpP further their mission. Read more about the fellowship on the SFS website! Meghan Mandi is a Sophomore in the Walsh School of Foreign Service at Georgetown University. She is a Science, Technology, and International Affairs (STIA) major as well as a Computer Science Minor. Meghan is interested in studying the intersection between technology and business growth and development, especially in the international development sector. This is her fourth semester in GGC, now serving as the Chief Financial Officer. She has previously served as a consultant, senior consultant, and Director of Public Relations. Outside of GGC, she is part of pre-professional business fraternity Alpha Kappa Psi and enjoys cooking and travel. Meghan originally hails from Voorhees, New Jersey. 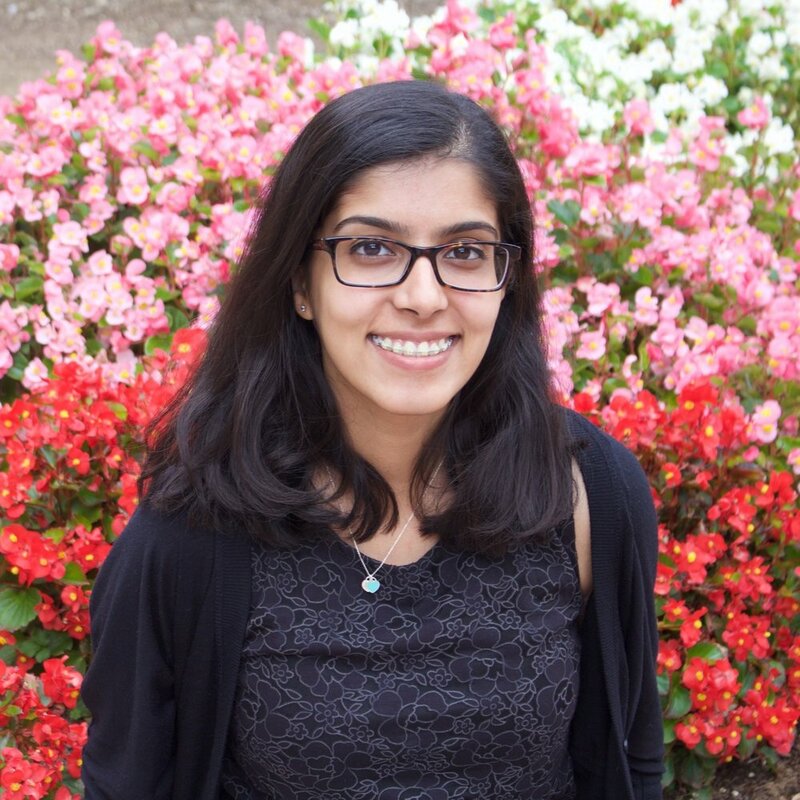 Adithi is a sophomore in the School of Foreign Service majoring in Global Business. This is Adithi’s fourth semester working with GGC, now serving as the Director of Client Recruitment. She has also served as Project Manager of a team working for Jimbere Fund, a DRC-based nonprofit and as Project Manager of GGC’s Enseña por Panamá Fellowship team, as well as a team working with Liberia-based Trust Savings Credit Union. Outside of GGC, she is a Student Fellow at the Georgetown University India Initiative, Director of Content for GU India Ink, and an Analyst for Zeeba Investment Group. Adithi is originally from Bangalore, India.